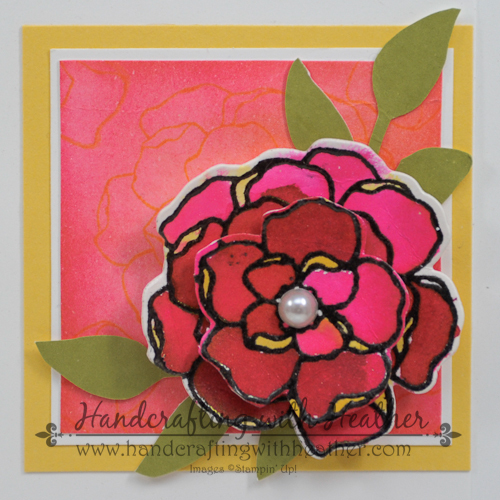 Collective Creativity with Stampin’ Up! For today’s post, I’ve got something a little different for you. 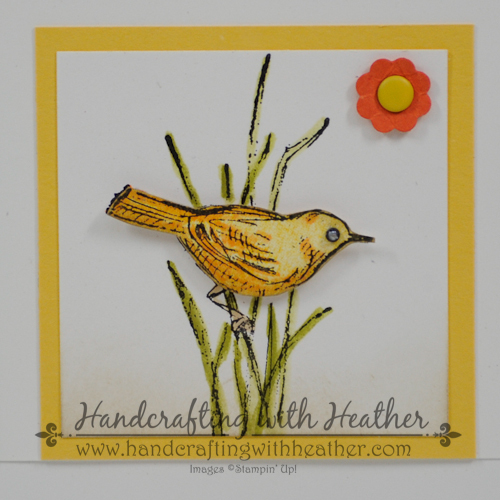 I recently participated in a group project with some other Stampin’ Up! Demonstrators, and I wanted to share the end result with you. I just love how this framed art piece turned out. It really is amazing that it came together so well, since each piece was created in isolation… collective creativity at its finest! Isn’t it pretty! I can’t wait to see it hanging on the wall of my new craft room! I’m remodeling a guest bedroom, so I will finally have a dedicated space for all my creative endeavors. Don’t worry, I’m taking pictures as the process evolves, and I will show you everything once it is finished! This is a great project to create with friends. I hope you will try it out and leave me a comment. Speaking of comments, that brings me to my drawing for April! Sale-a-bration is over, but it isn’t too late to get your hands on some of the great products featured during the promotion. Leave me a comment, and I will enter you into my drawing. During the month of April, I will be doing a drawing every Sunday. One lucky person will receive one of the items from Sale-a-bration as a special show of appreciation to you, my readers. Also, if you like my work, why not get my post delivered right to your inbox. Click on “follow” in the sidebar to subscribe to my blog via email! Now, let’s get to the details about this project. First, the group decided on a color scheme and each person was assigned a background color either Bermuda Bay or Daffodil Delight. 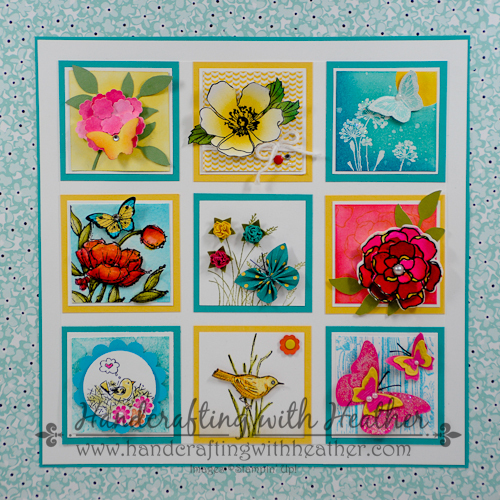 Then every person created nine copies of a 2″ x 2″ art piece using Stampin’ Up! products. 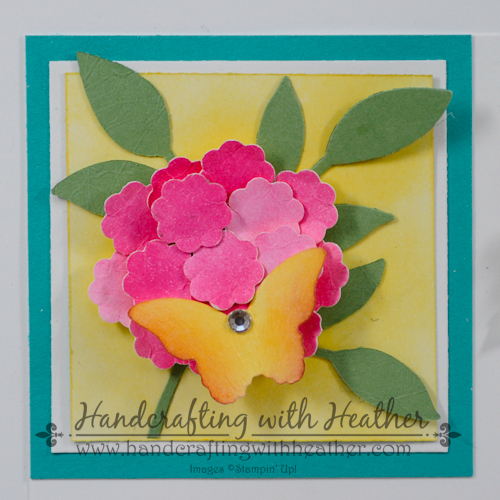 We chose a spring theme and limited our color choices to the brights collection. We shared with each other which stamp sets we would be using, so that we didn’t end up with nine squares all featuring the same ones. Once our squares were finished, we kept one, and mailed the other eight to the other participants. It was so fun getting these little gems in the mail and seeing it all come together piece by piece. Set a due date for mailing the pieces and allow everyone enough work time to meet the due date.Each art piece should measure 1-7/8″ x 1-7/8″ and be mounted on a 2″ x 2″ piece of whisper white card stock. The background pieces (Bermuda Bay/Daffodil Delight) measure 2-1/4″ x 2-1/4″. They are added by the recipient once all the pieces have been received. This allows each person more flexibility in deciding how to put the final product together. Since these are framed in a shadow box, it is okay to have quite a bit of dimensionality to them. In fact, the more three-dimensional the art is, the better! When you receive all of the squares, cut a 7-1/8″ square of whisper white card stock to help mount all the squares evenly. I started with the corner pieces and worked my way in. I lined up the outside edges flush with the edge of the 7-1/8″ square. 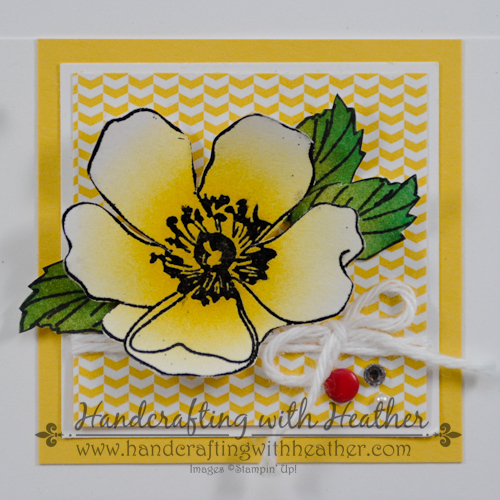 Mount the 7-1/8″ square onto an 8″ x 8″ square of whisper white. Mount that onto a 10″ x 10″ piece of Designer Series Paper of your choice. 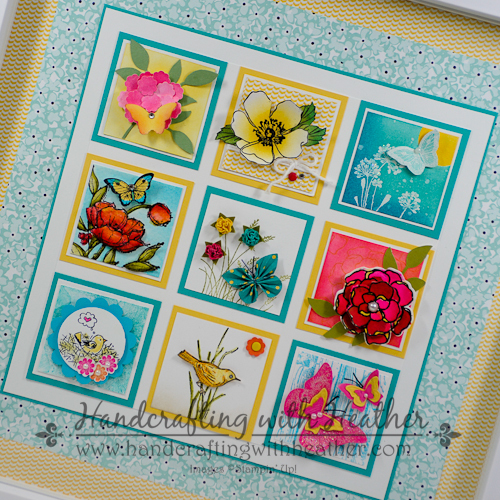 Place in a 10″ x 10″ shadow box frame. NOTE: I assembled my project according the directions above, and then when I went to buy my frame, they only had 12″ x 12″. 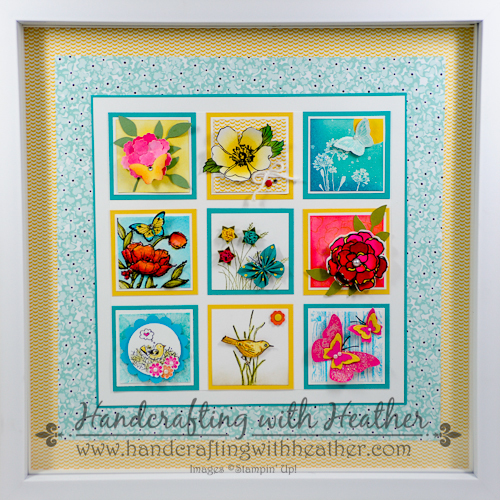 I added my finished piece to a 12″ x 12″ square of Daffodil Delight DSP, and I actually like how it tied all the squares together. If you like this project, please do me a favor and pin it to Pinterest for me. I always appreciate your help in getting the word out about my blog. 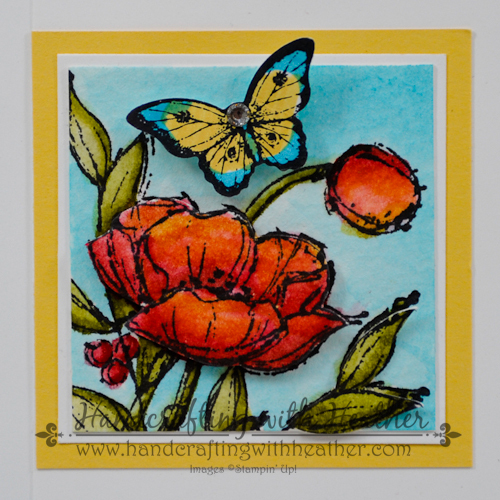 You will find a “pin it” button at the very bottom of this post below the list of stamp sets that were used to create this project. 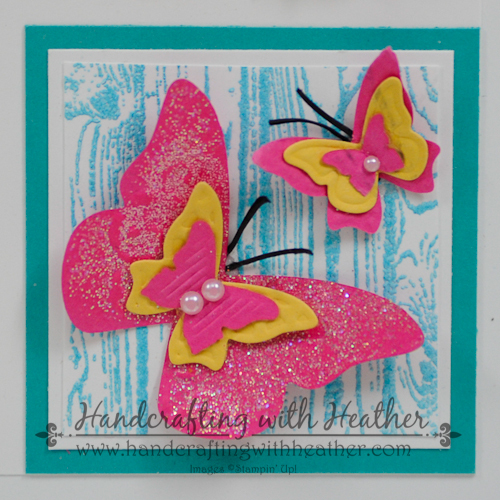 And don’t forget to leave me a comment for your chance to win a free stamp set from Sale-a-bration! If you would like to purchase any of the wonderful products featured in this project, I would love to help you out. You can shop in my online store now by clicking here. 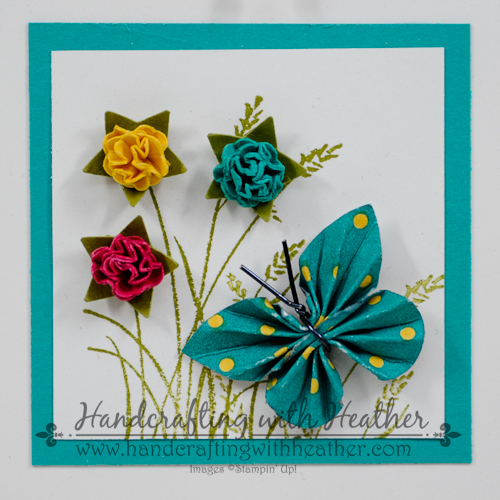 Also, if you would like to create one of these projects with your friends at a workshop it would be a great chance to earn the Simply Sketched stamp set through our hostess program. I hope you will consider contacting me to be your demonstrator. I would love to help you and group of friends put a similar project together as a fun social occasion! You can find a complete list of stamp sets and punches used for this project at the very bottom of this post. That looks great. 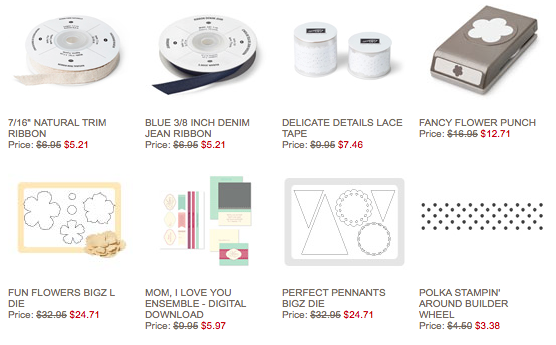 It’ll be perfect in your new craft room! This is great! I have always wanted to get together with a group and try this out. THanks for all the details and I’m sure it will look amazing in your new room. Wow. Heather, you have yours together already, you go girl, and it’s looking fabulous, can’t wait to finish mine!…this was so much fun, we will have to do another one real soon!. OMG!! Heather it’s so pretty!!! I love that you dressed up my square!! A true work of art! I love how the final piece pulls it all together! What a fun idea. Would love to try it some time. A great new inspiration!